Personalise your Dower and Hall Cherish locket with this Sterling Silver horseshoe treasure embellished with sparkling white topaz gemstones. 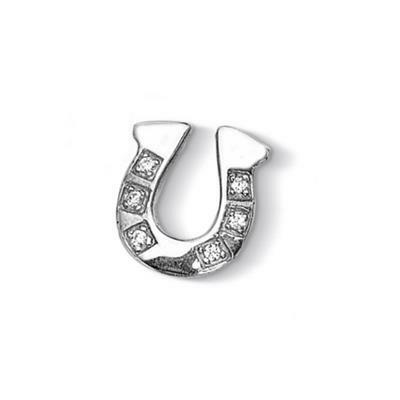 Wear this lucky charm as a symbol of strength and recognise what you have achieved. The collectable treasures capture your most precious moments and create a personal accessory that can be cherished for years to come. This charm is 14mm in size and fits the medium and large Cherish lockets only.